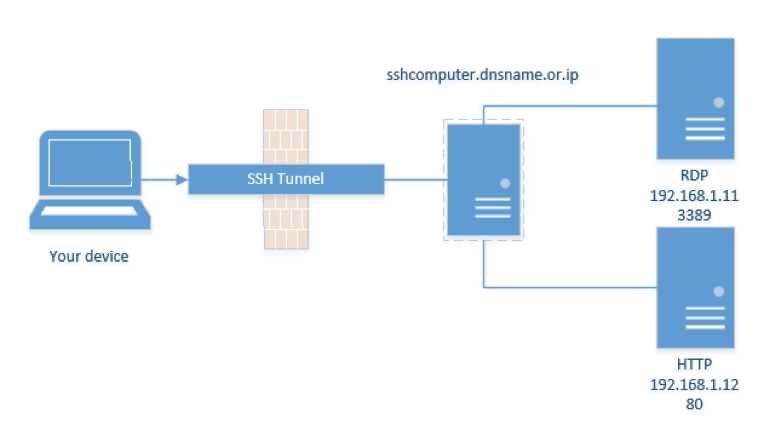 SSH Tunnel on PuTTY | Bots! In the Tunnels section in PuTTY, configure a specific Local port, such as 50001, that will redirect to 3389 of your destination server. In the Source Port field, enter the local port that will be redirected. In the Destination field, enter the IP address as well as the destination port. Select Local and Auto to activate IPv4 and IPv6.Here is an example from my local machine I would like to go to 172.128.123.10, server port 3389. Please note that you may configure your ports for multiple servers simultaneously. 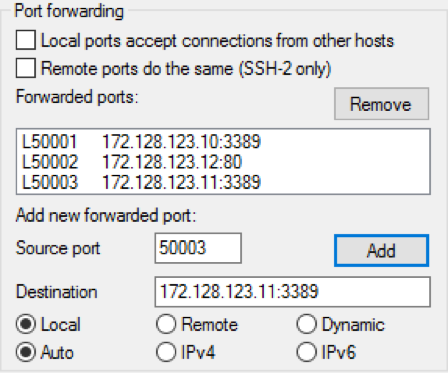 Configuring a specific Local port such as 50002 will redirect to 80 of your destination server. Doing so will allow you to configure PuTTY to your web browser. 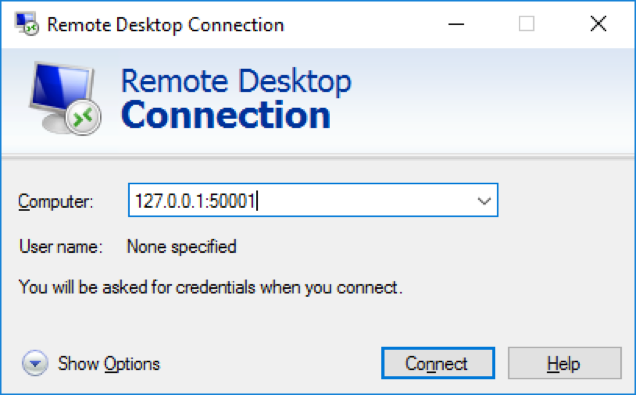 Once the configuration setup is complete, open an RDP connection and enter your local IP (127.0.0.1), along with the local port configuration in PuTTY. As illustrated above, if I enter 127.0.0.1:50001, my connection will translate to the server 172.128.123.10:3389. If I enter 127.0.0.1:50003, my connection will translate to the server 172.128.123.11:3389. In the Category menu, drill down to Connection –> SSH –> Tunnels. There are several ways to configure a Tunnel. We shall proceed with a browser tunnel configuration. Step 4 – Configure PuTTY for a Web Browser Tunnel. At the Tunnels page, configure a Dynamic port between the ranges of 49152-65535. For additional information, refer to https://en.wikipedia.org/wiki/List_of_TCP_and_UDP_port_numbers 49152–65535. Further information for Internet Explorer, Chrome or Edge can be seen in Step 5.1. For Firefox, refer to Step 5.2, and for RDP usage, refer to Step 2. As previously noted, configuring a tunnel through Internet Explorer will affect Google Chrome and Microsoft Edge. 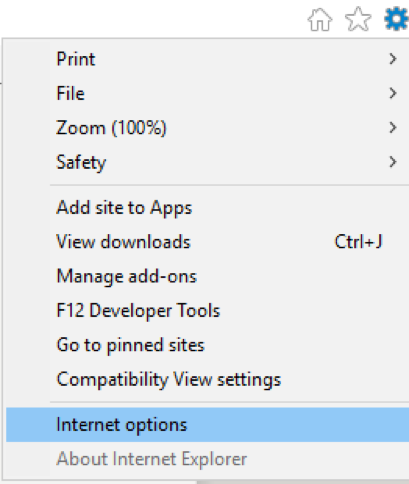 Click on Internet options by navigating through your Control Panel in your Internet Explorer browser. The following illustration displays the Control Panel Home. 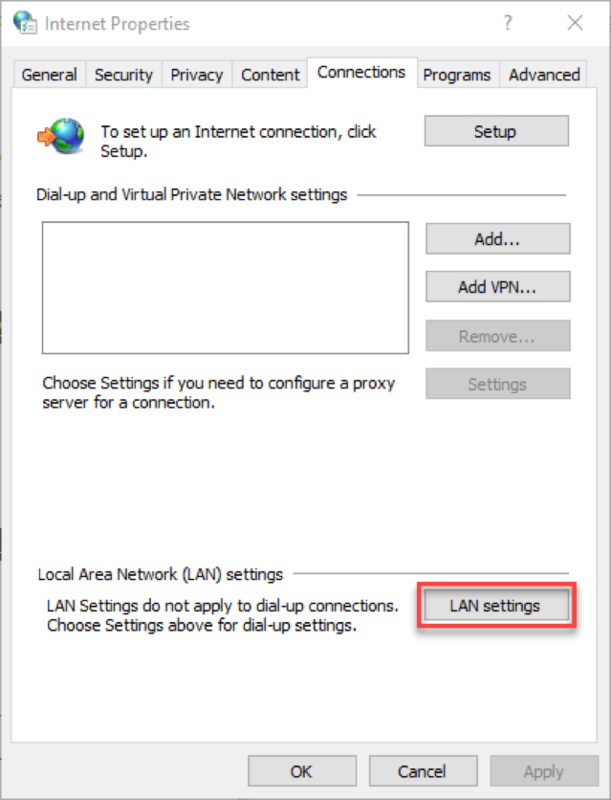 Select the Connections tab and click on LAN settings. 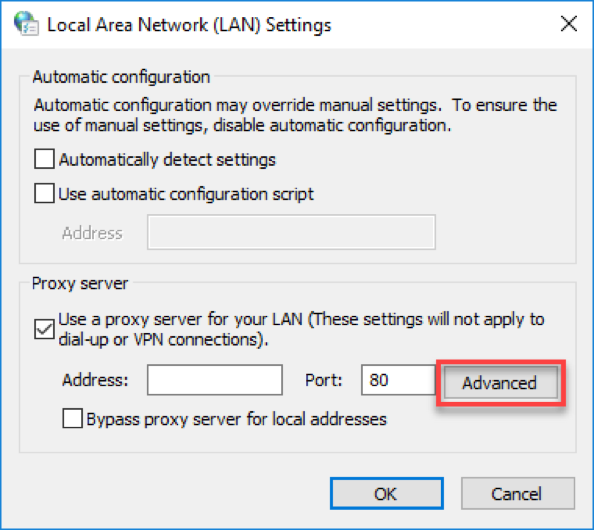 Check the Use a proxy server for your LAN box, and click Advanced. Enter 127.0.0.1 of the host IP in the Socks field, with the configured Port of 4567, and click OK.
You should see a grey Address bar. 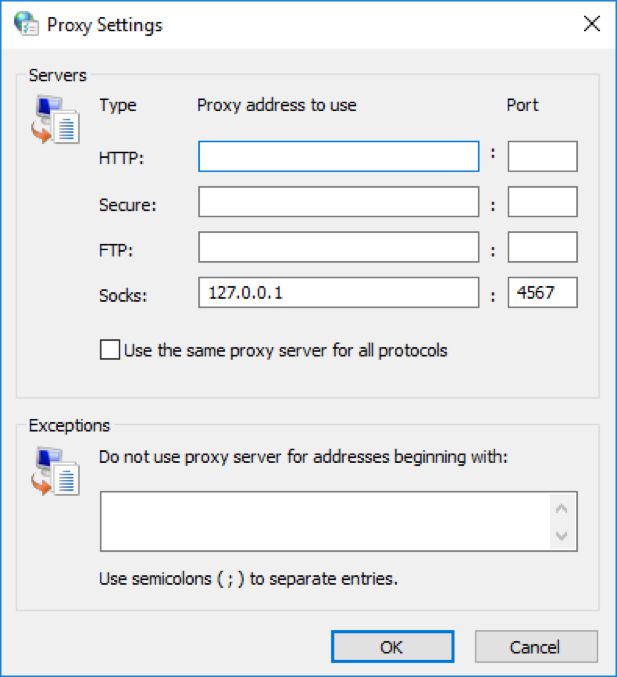 If your remote segment IP differs from internal segment, please check the Bypass proxy server for local addresses box. Once complete, you will be able to access Internet Explorer, Edge or Chrome to navigate onto an IIS server by entering the IP in your navigator. You may open a browser tab and visit http://172.128.123.10 in this example. Doing so will allow you to view the service from the Destination server. Your configuration should look like the following figure. 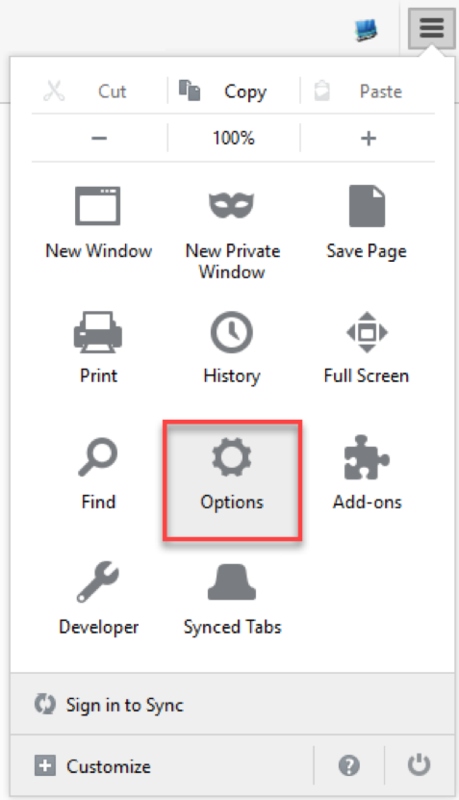 In your Firefox browser, click on the Menu button in the top-right corner of the screen, and select Options. Then, navigate to the Advanced tab. Within the Advanced tab, select the Network tab and click on Settings in the Connection section. Once complete, you will be able to access Internet Explorer, Edge or Chrome to navigate onto an IIS server, by entering the IP in your navigator. You may open a browser tab and visit http://172.128.123.10 in this example. Doing so will allow you to view the service from the Destination server. This entry was posted in Administrations, Collected Articles, Configurations (Linux) and tagged Putty, SSH, SSH Tunnel. Bookmark the permalink.